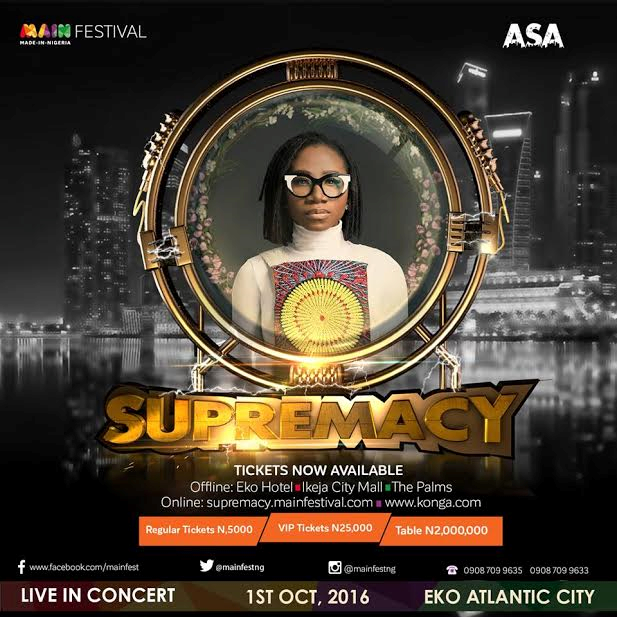 The Nigerian Entertainment history books is about to be re-written as organisers of the much-talked-about Made-in-Nigeria(MaIN) Festival have lined up an impressive list of performers for the maiden edition of the Supremacy Concert to hold on October 1 at the Eko Atlantic, Lagos. The Supremacy Concert will be the climax of a seven-day event which would attract dignitaries such as His Excellency, the Vice-President of Nigeria Prof. Yemi Osinbajo, Senate President Dr. Bukola Saraki, Alhaji Aliko Dangote, CBN Governor Mr Godwin Emefiele, Minister of Power, Works & Housing Mr Babatunde Fashola, Senator Ben Murray-Bruce, Ronald Chagoury, Mr. Ben Akabueze D.G. Budget Office among others. The Made-in-Nigeria Festival is being organized by MaIN Group, a collaboration of private sector organisations. Board of Advisors of the initiative include: Prince Adesegun Oniru, Mr. Aliko Dangote, Dr. (Mrs.) Stella Okoli, Mr. Ronald Chagoury, and Senator Oluremi Tinubu. 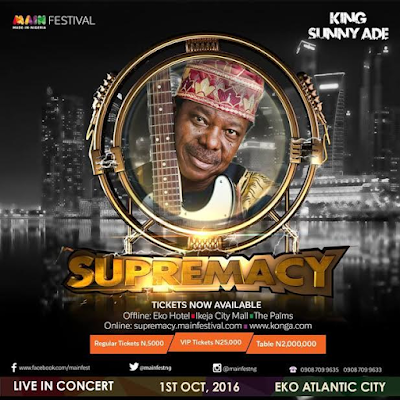 The music concert will feature music acts such as King Sunny Ade (KSA), Asa, Dbanj, 2Baba. 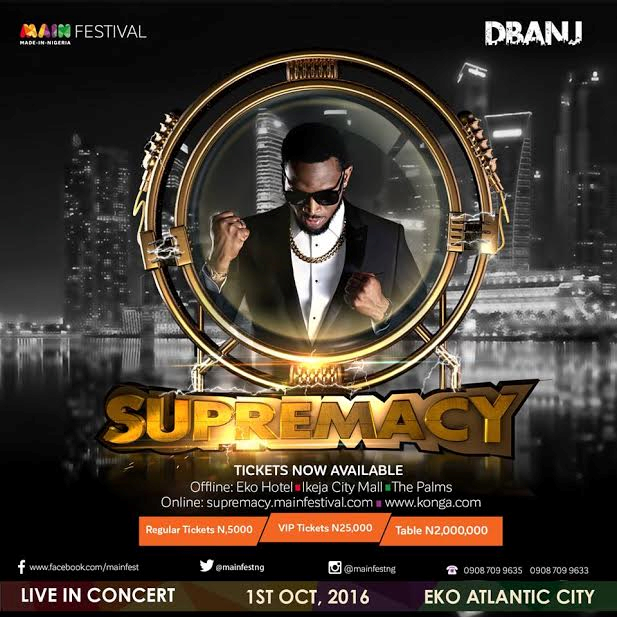 This would be the first time these entertainers would grace the same stage in the history of music concerts in Nigeria. KSA who started his music career in the 60s is known for his captivating voice and electrifying dance steps which has endeared him to many.He has many blockbuster hits to his credit among which is ‘’Merciful God’’, ‘’Ja Fumi’’, ‘’Sweet Banana’’, ‘’Aiye Nreti Eleya Mi’’ and others. 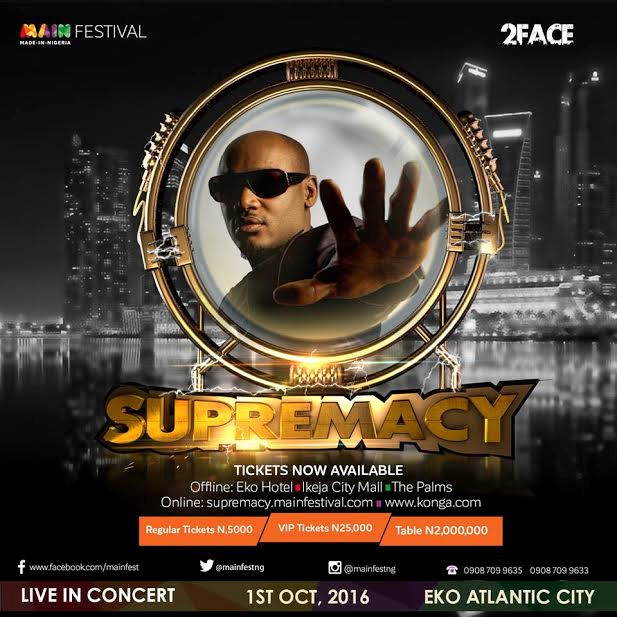 2baba is regarded as one of the stars of the decade as he is unarguably one of the country’s best exports ever since he released the hit single ‘’African Queen’’ which made the album go platinum. Asa is an internationally acclaimed singer and song writer who has sold more albums than her contemporary acts, she performs in and out of the country at will. 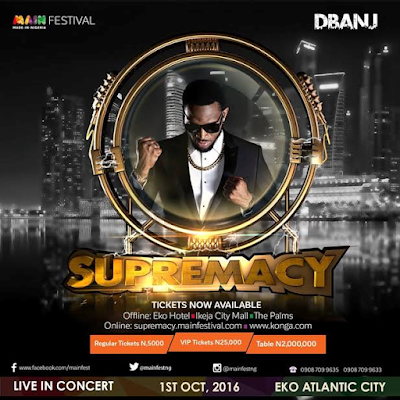 Dbanj is not doing badly as he is not just a musician but an entertainer and businessman all in one. He is known for his stage craft and he is a fans’ favourite.